Capture the moment with this 14K white gold 3 Stone engagement ring, featuring a pear semi-mount halo of round diamonds. 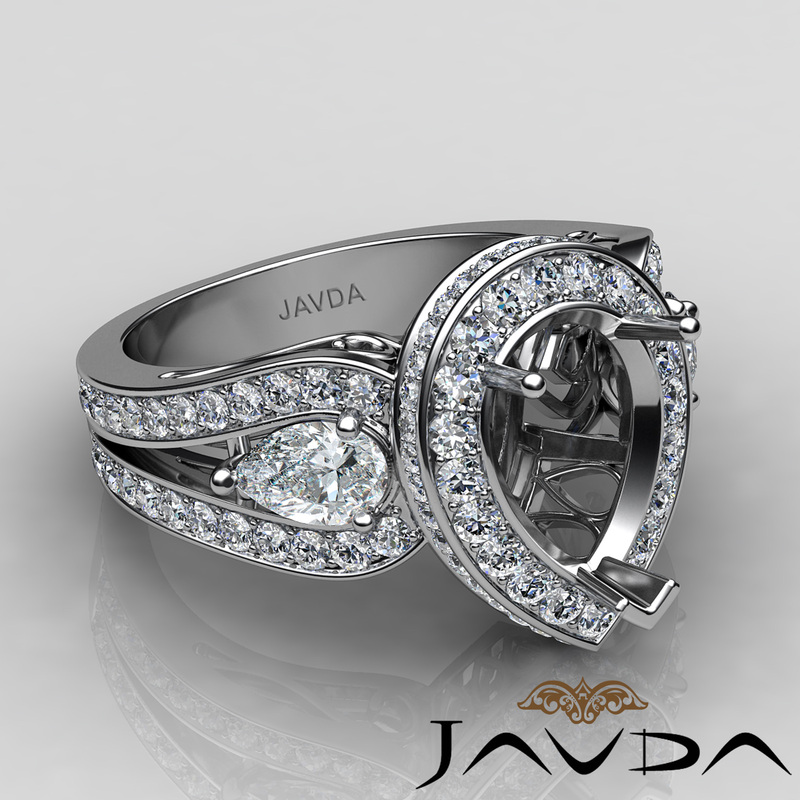 It showcases 1.85ct. 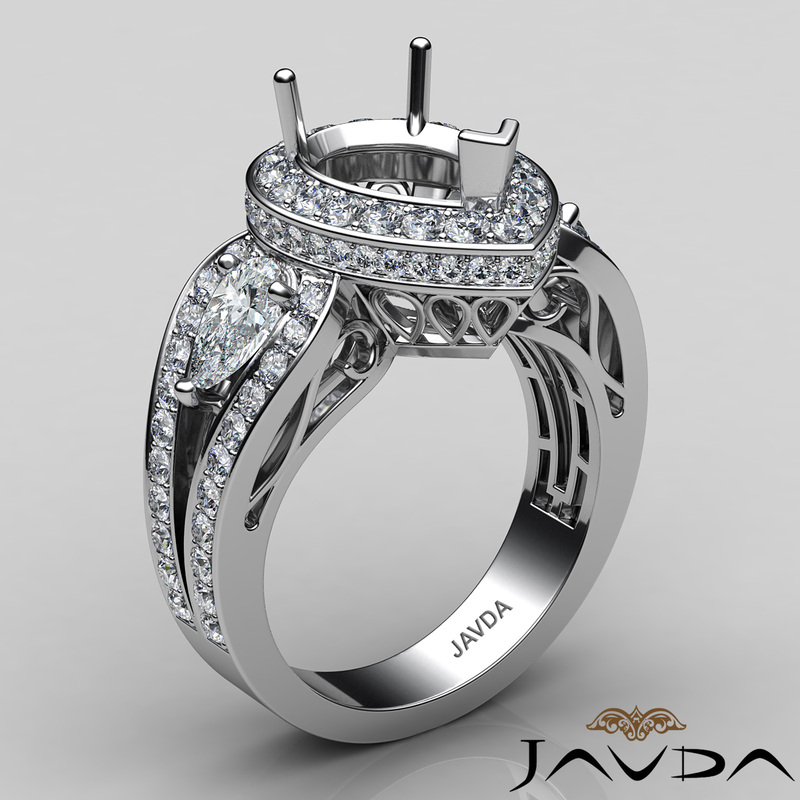 of total round diamonds & 0.50ct. 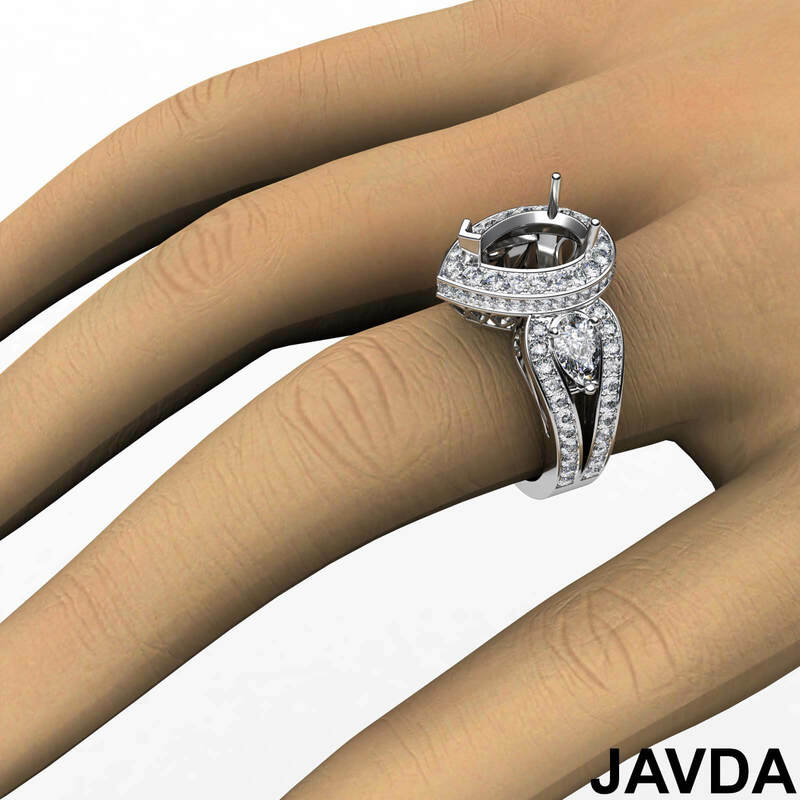 of side pear diamonds in prong setting beautifully placed on the ring's shank.